What took me a couple hours to figure out in Excel (see previous blog post) just took me about 90 seconds to create in Tableau (though I do have 4+ years experience with Tableau). Notice that the bars are properly scaled now too. 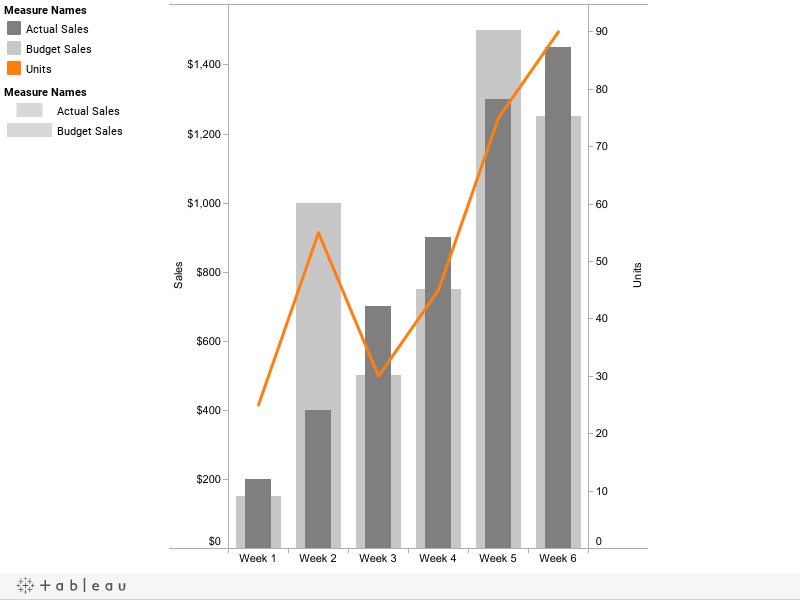 The gray bar now longer is at $150 not $190 like it looked like in Excel. Bottom line, use Tableau. Do you have similar instructions for doing this in Tableau as you posted for excel? I'll work on it for a separate post. Keep an eye out over the next few days. Anonymous, I've created the instructions.